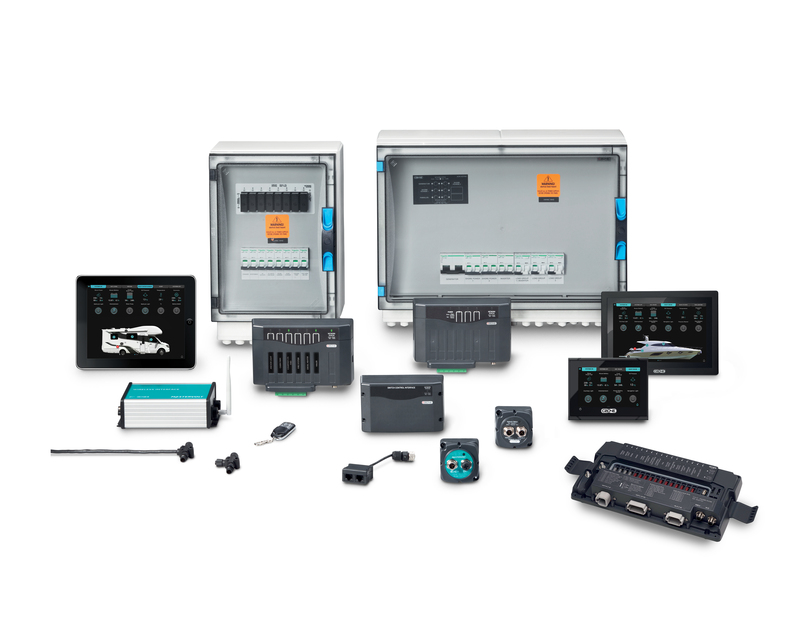 Searching for a simplified way to network, monitor and control onboard AC circuits? 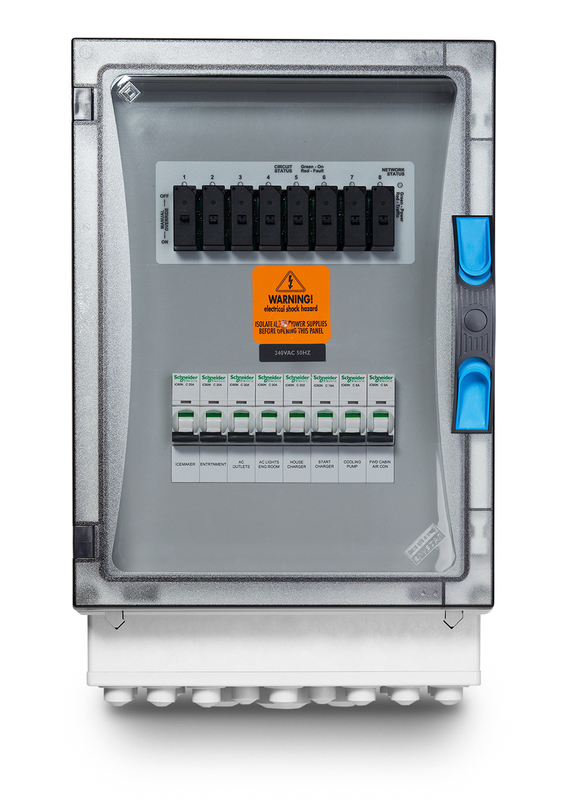 The AC Output Interface does it all and provides circuit protection for onboard AC devices. It is easy to install, configure and operate the digital control system with pre-wired components for quick connections. 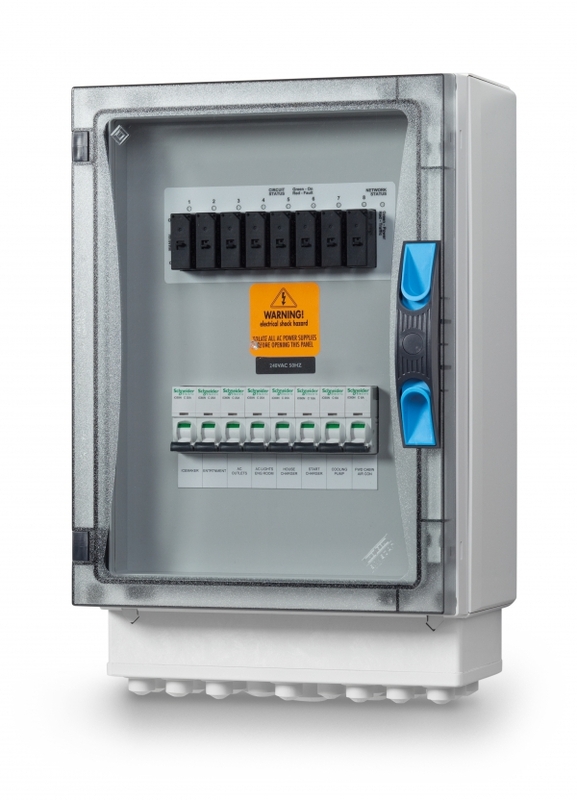 This is a fully customised solution to suit unique installation and application needs, including ‘night operation’ as well as control at multiple locations. It has eight outputs (up to 50 A each), supports multiple pole designs and two separate buss feeds. To facilitate things, status LEDs and manual bypass are located right at the enclosure. Full automation of available supply selection. Eight outputs, maximum of 50 amp each. Circuit status and run current displayed for each circuit. Status of LEDs at enclosure. 110 V, 240 V, 110/220 V.
Supports multiple pole designs, i.e. double, triple, four pole. Can support two separate bus feeds i.e. 2 load groups in one box. Delayed activation of circuits, to allow generators to come up to speed. Contact Mastervolt for custom requirements.